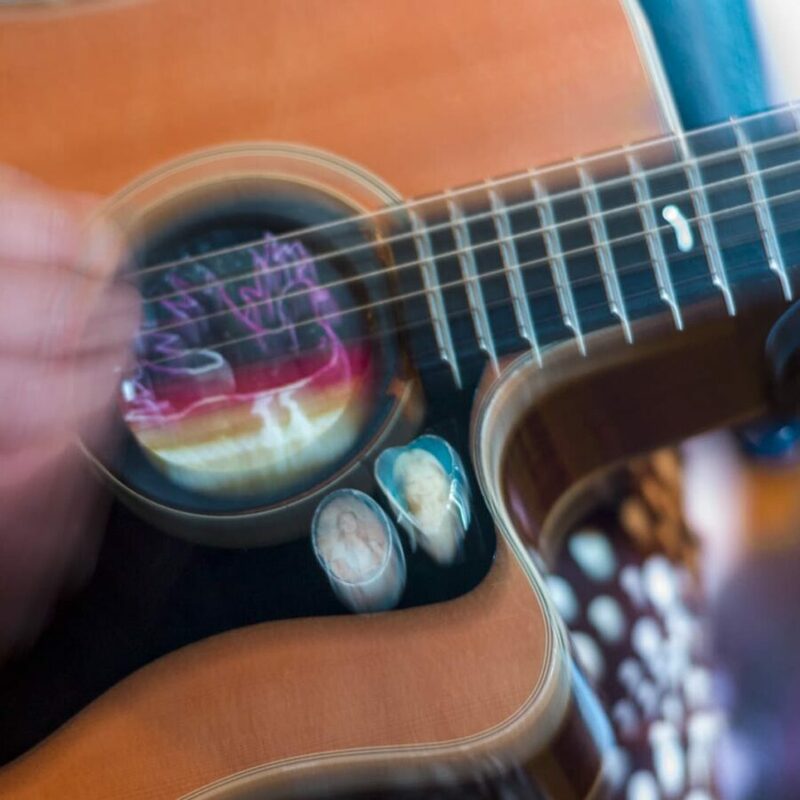 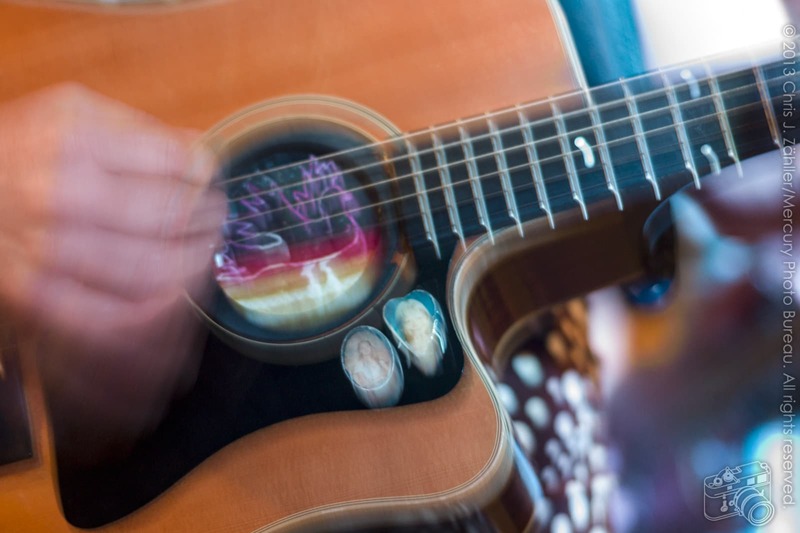 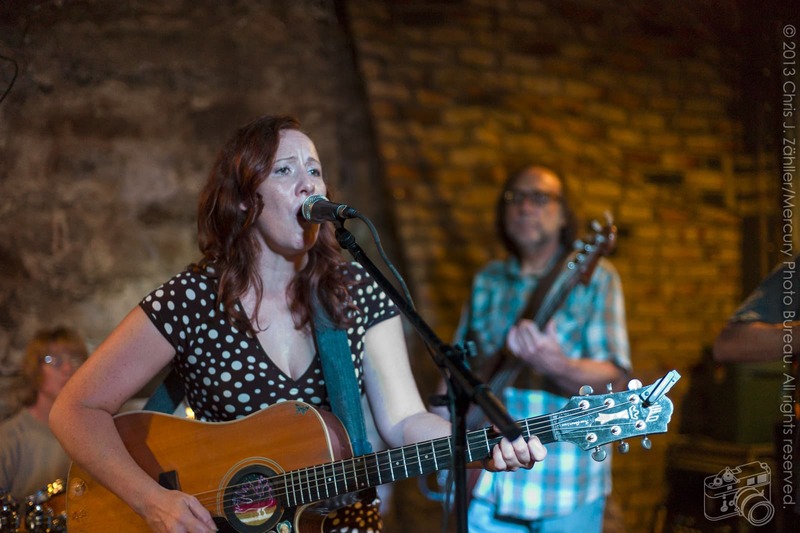 One of 9 sib­lings, Rebekah Pulley grew up in rural Alaska lis­ten­ing to her dad, Wallace,﻿ Wallace Pulley played gui­tar on Charlie Ryan’s orig­i­nal record­ing of Hot Rod Lincoln ) play­ing gui­tar. 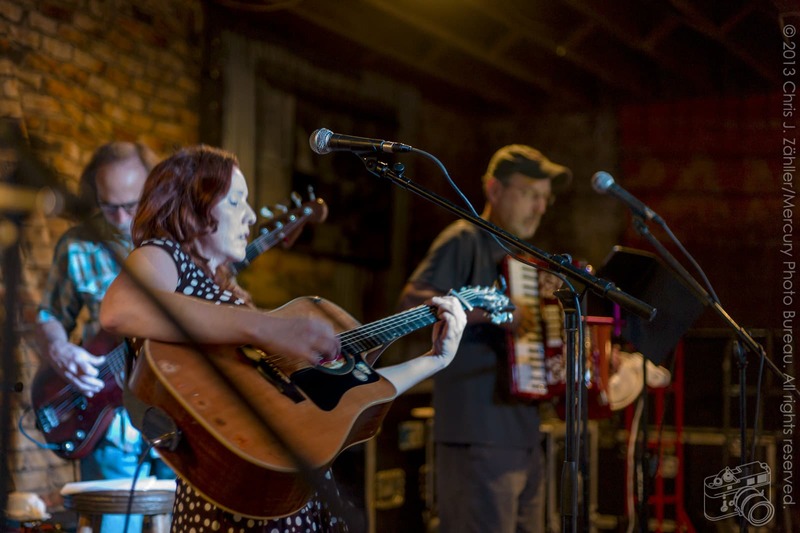 At a young age, she taught her­self to play the instru­ment by ear. 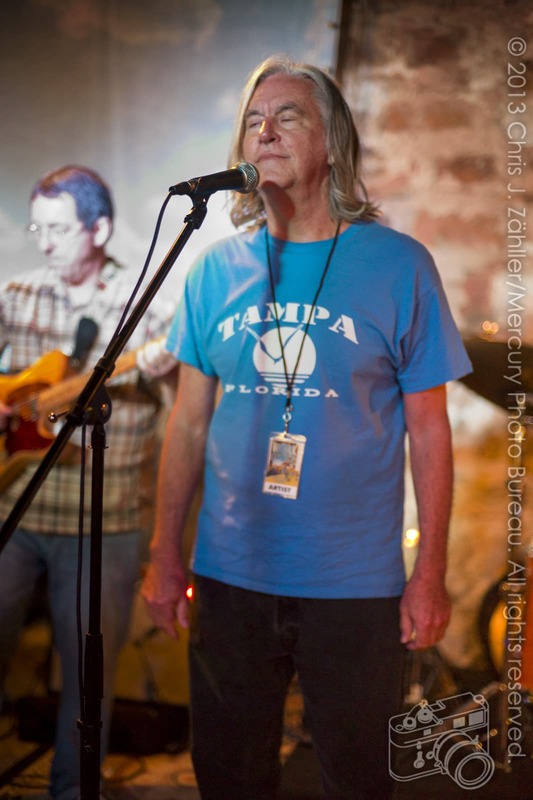 I am not cer­tain [how many orig­i­nal songs I’ve writ­ten] — some­where in the hun­dreds … although I only like two of them. 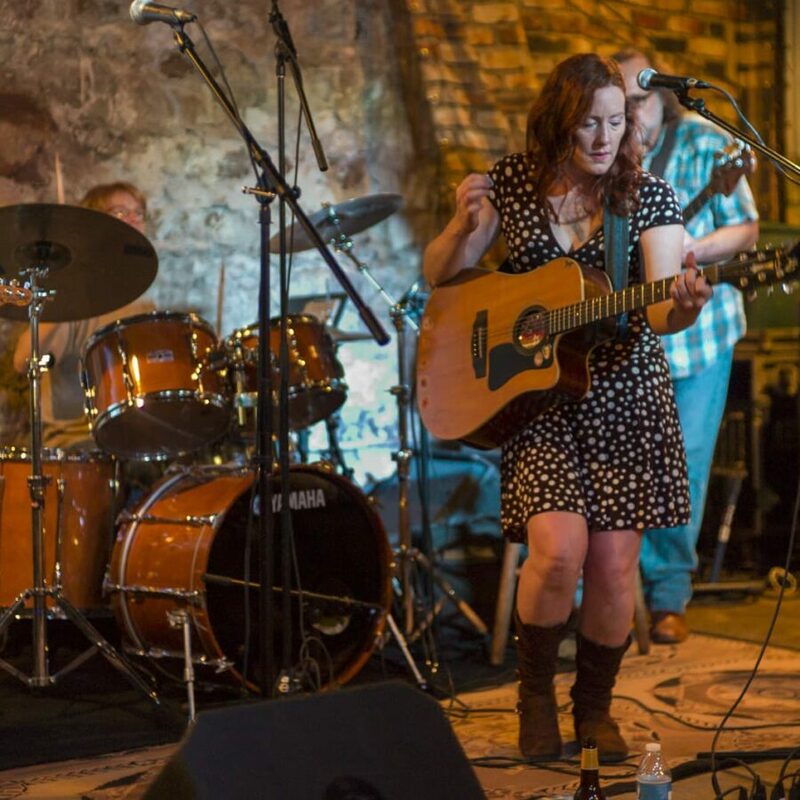 With 5 full-length CDs under her belt, Pulley has earned crit­i­cal respect and fan adu­la­tion alike. 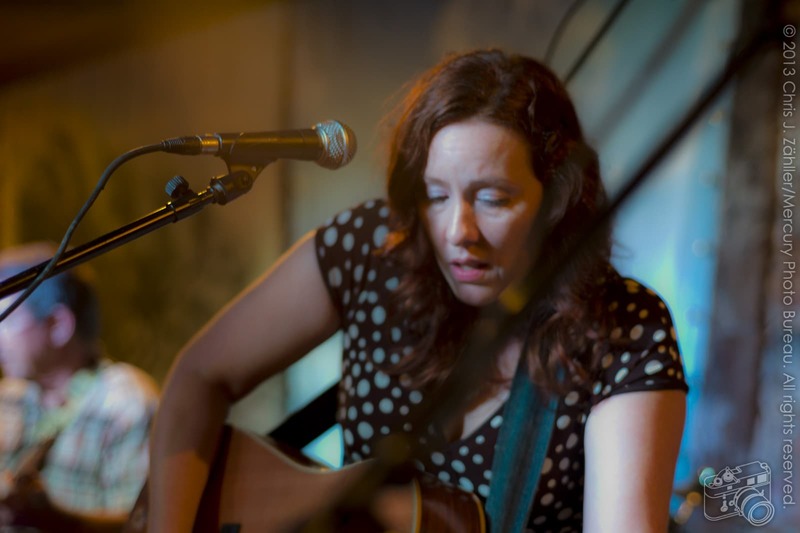 Her lat­est release is Tralala . 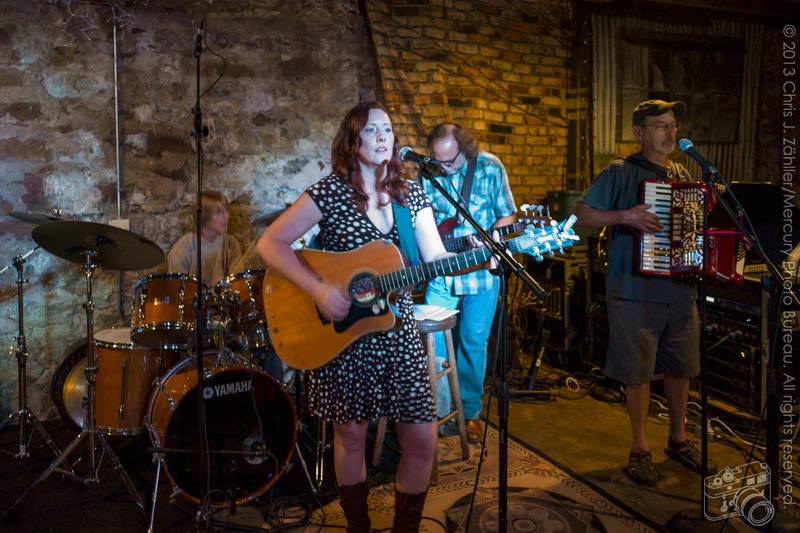 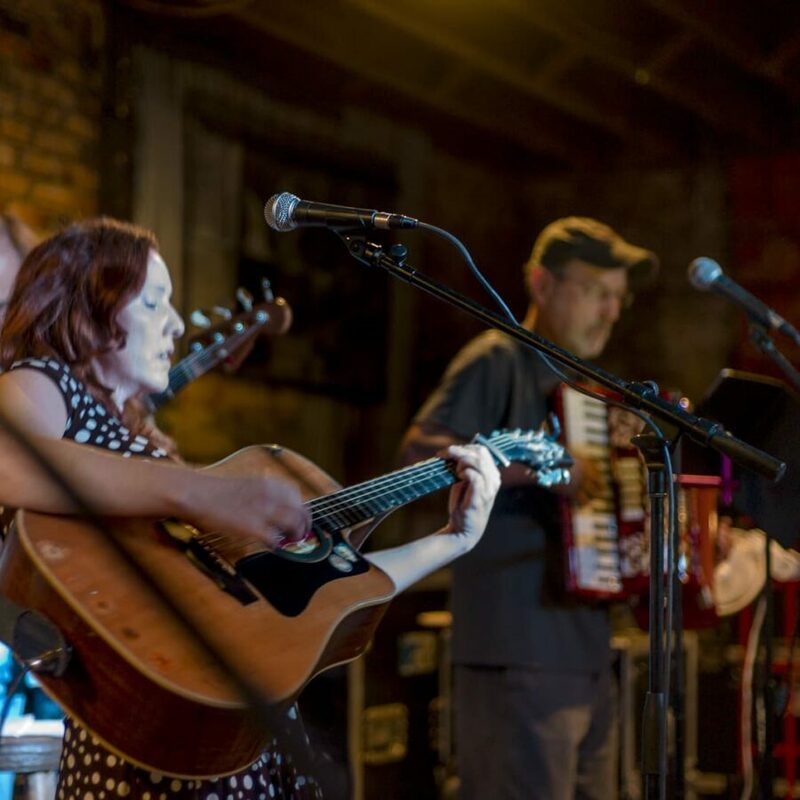 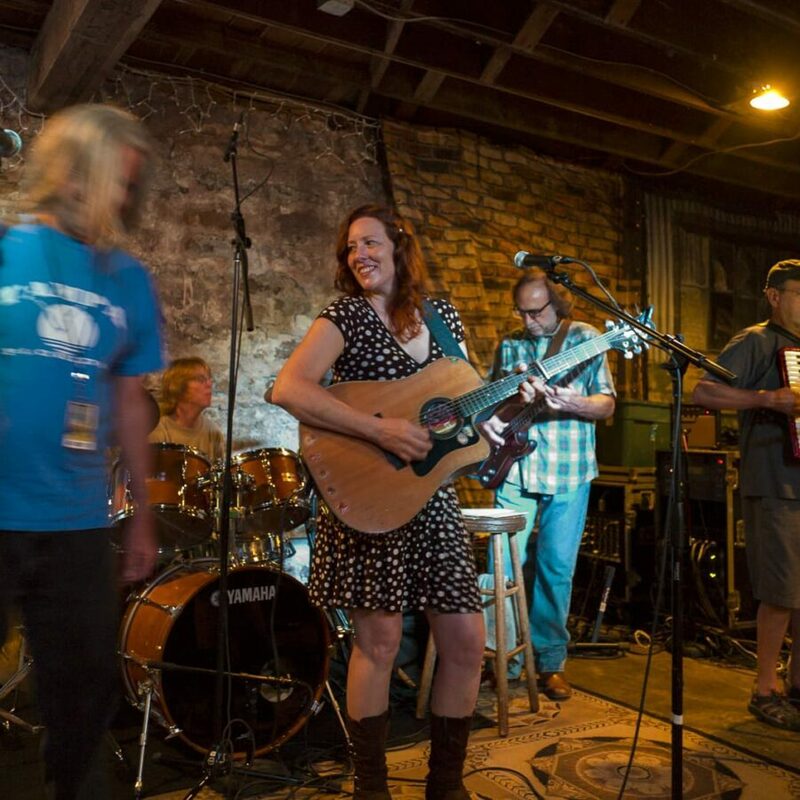 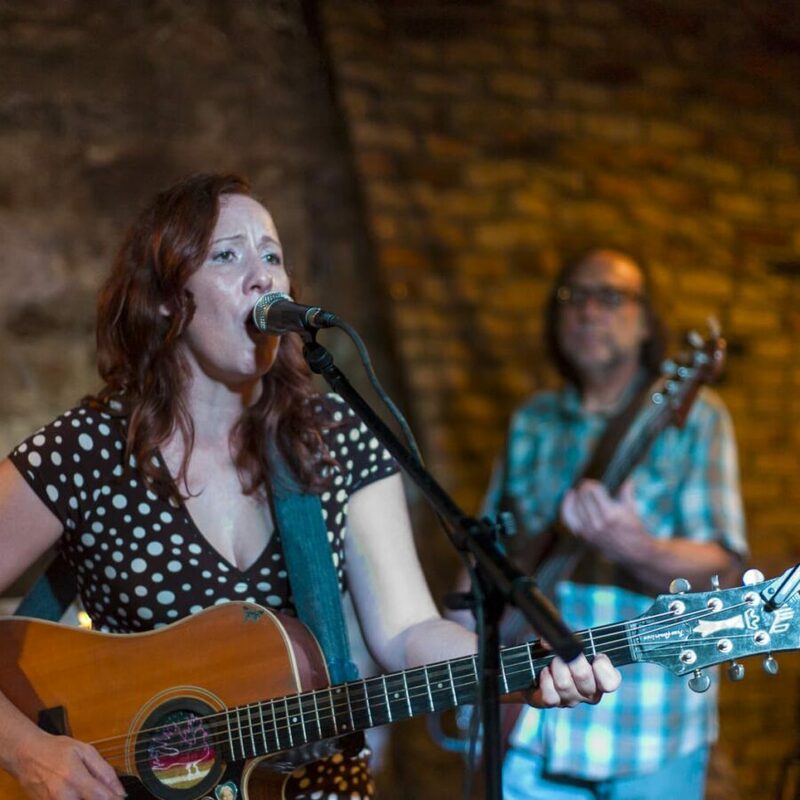 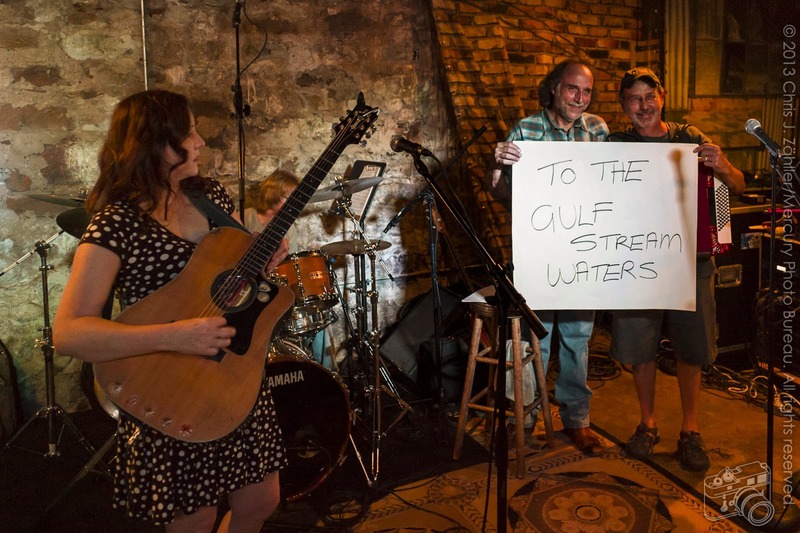 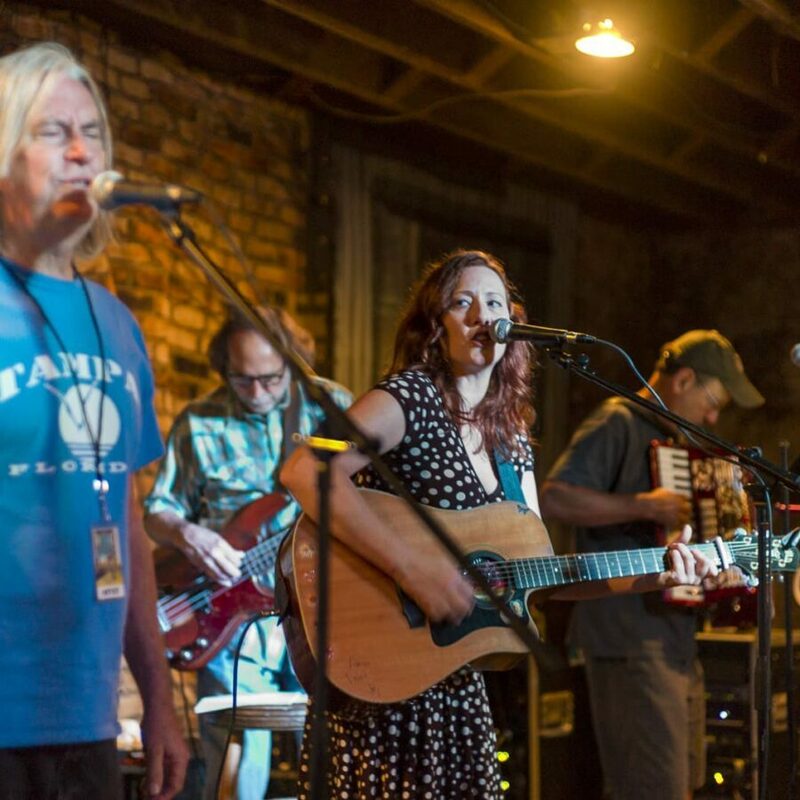 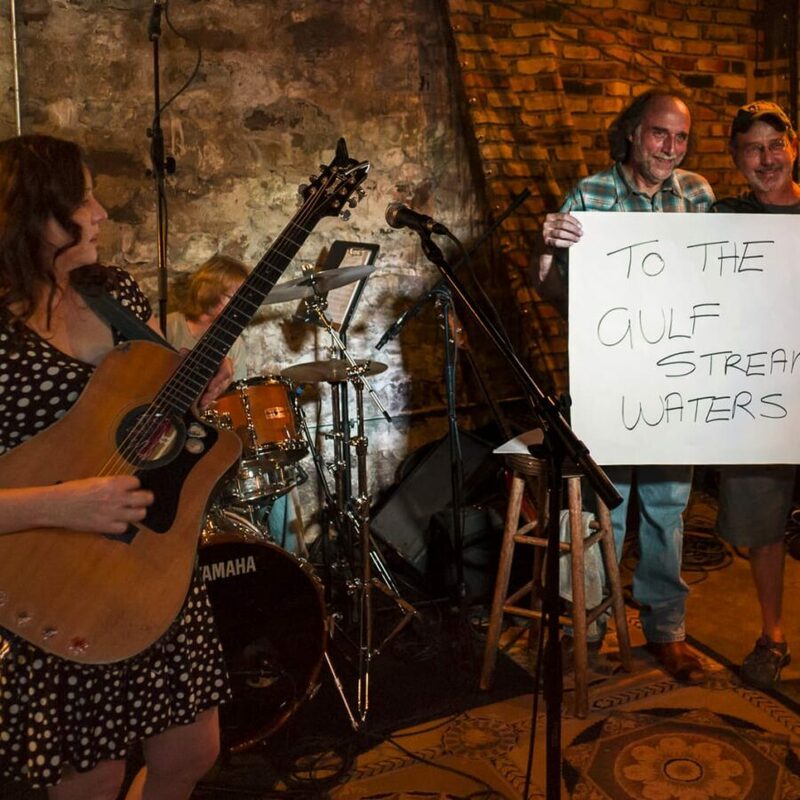 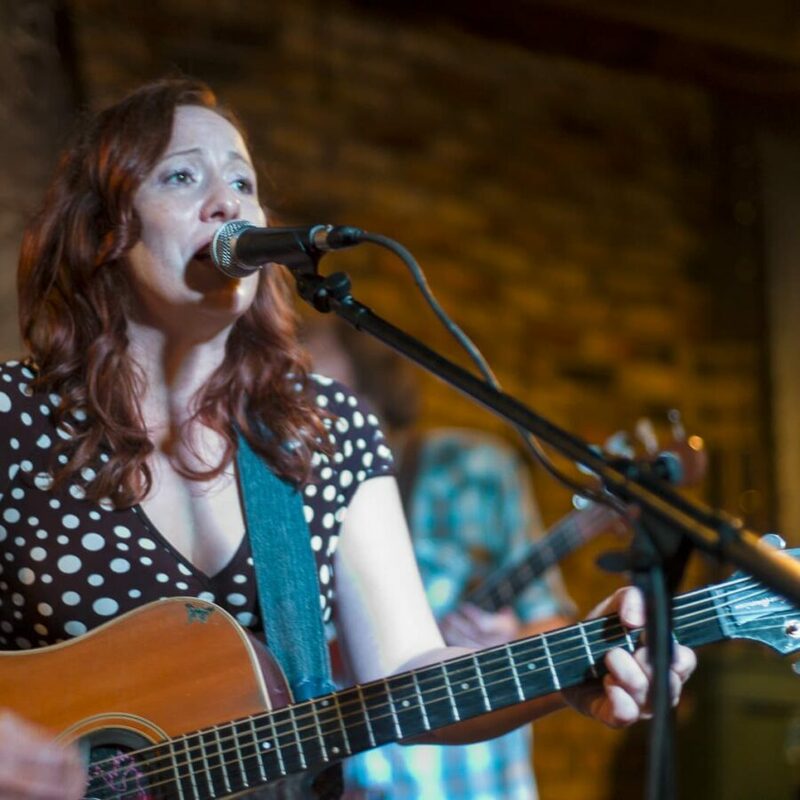 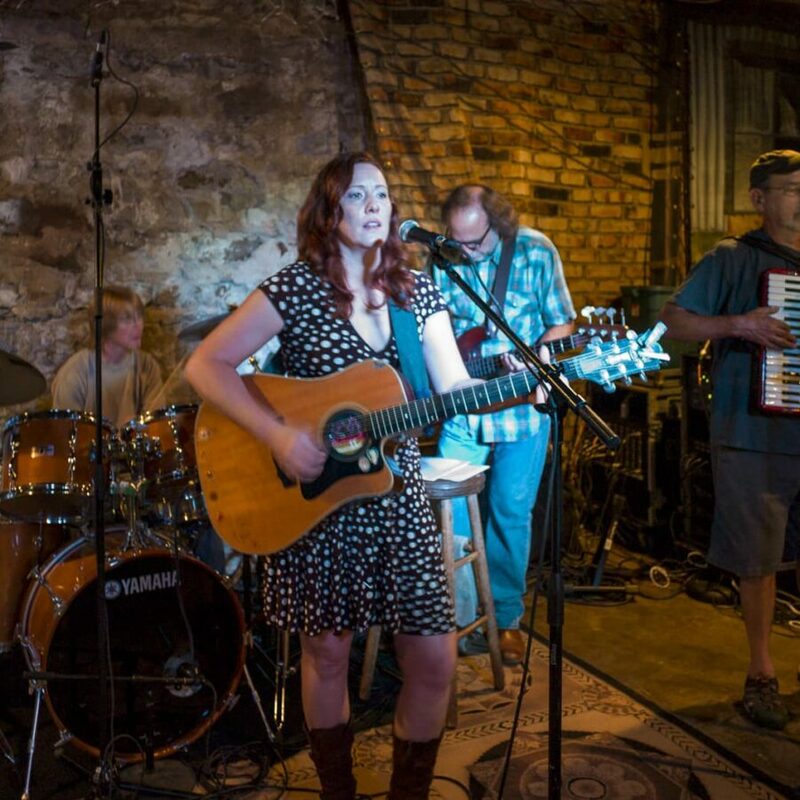 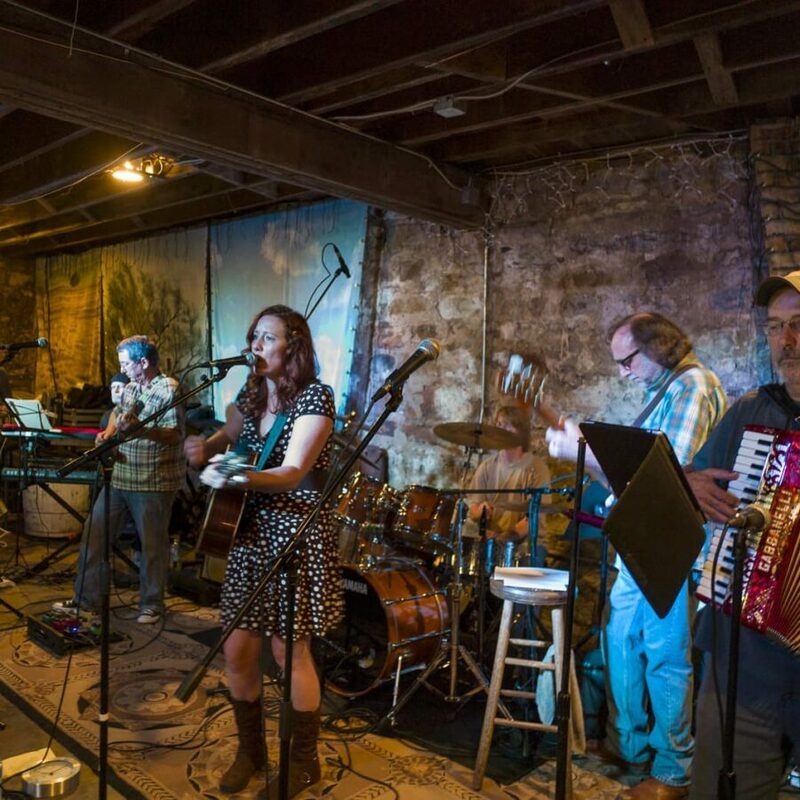 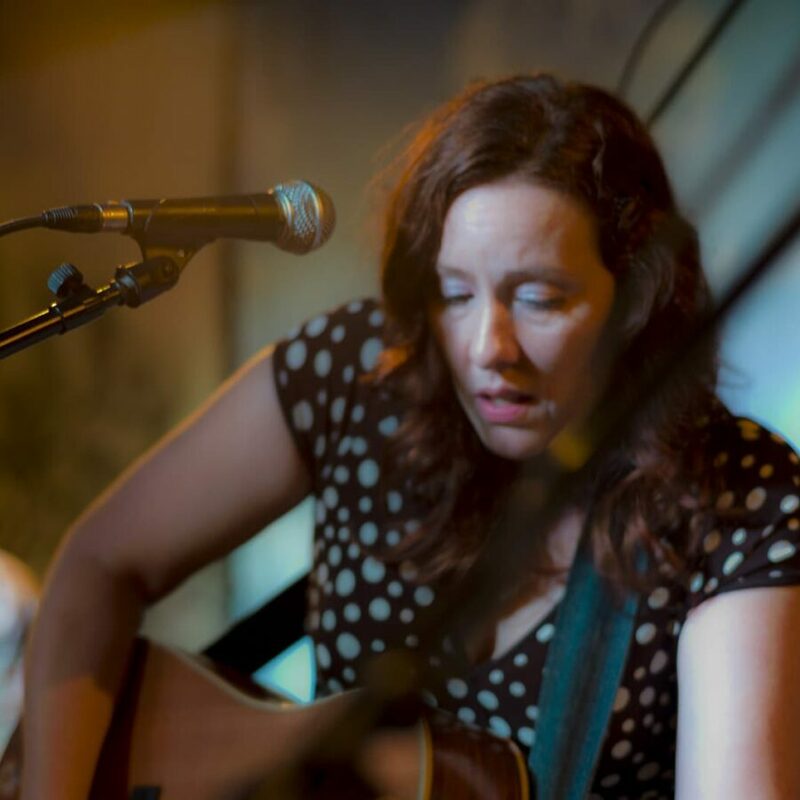 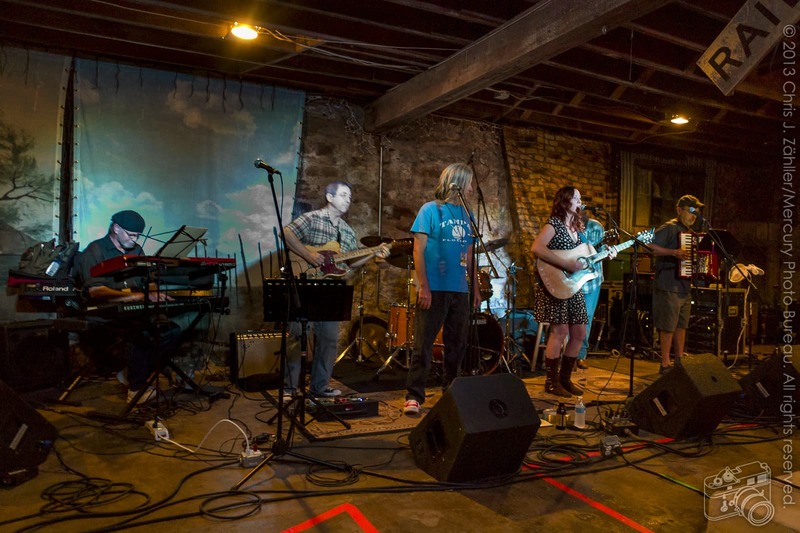 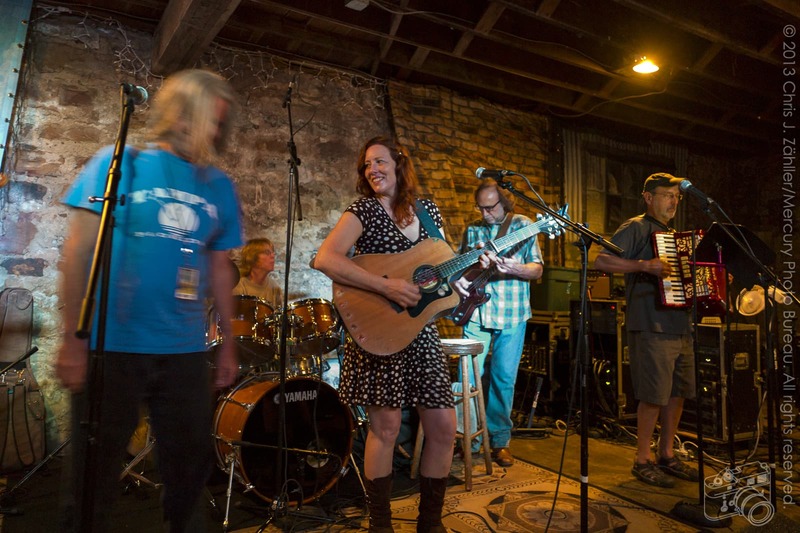 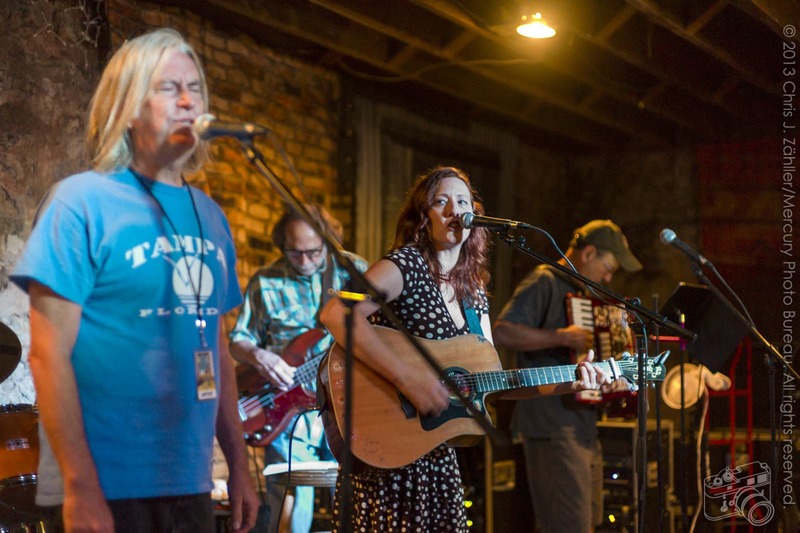 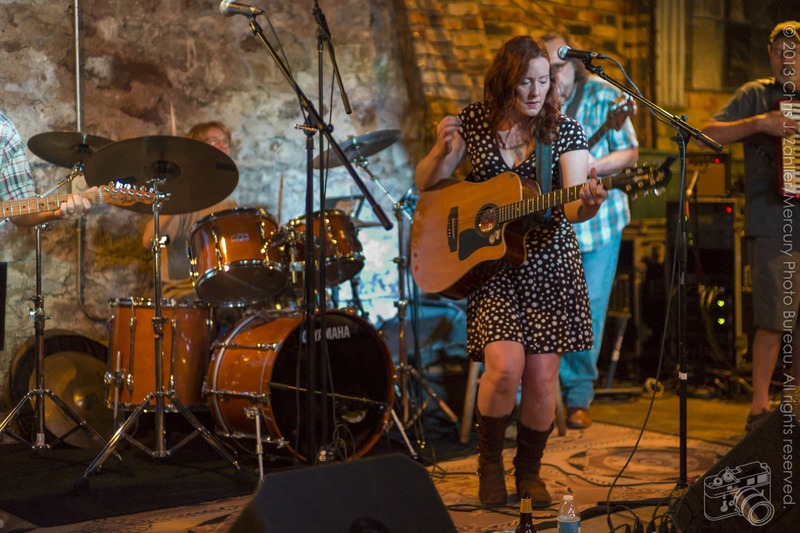 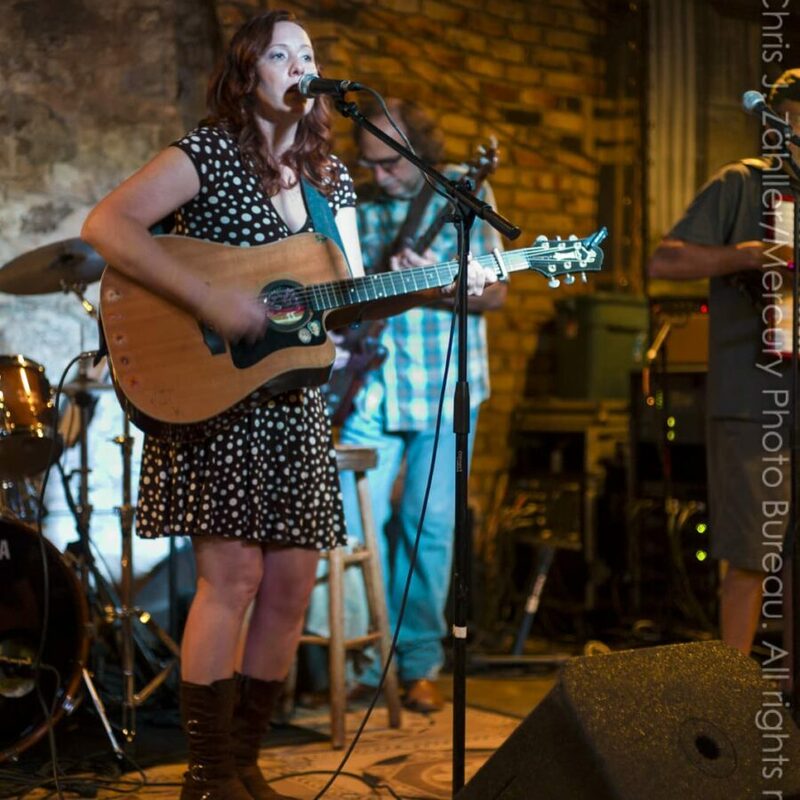 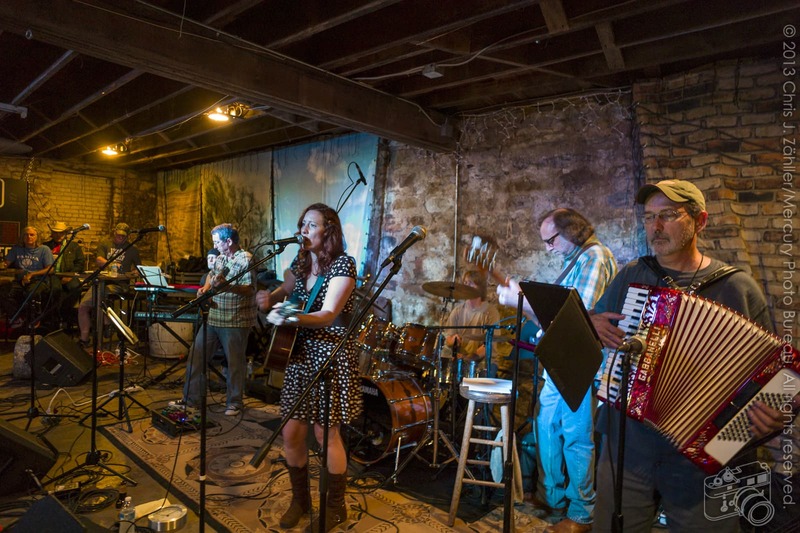 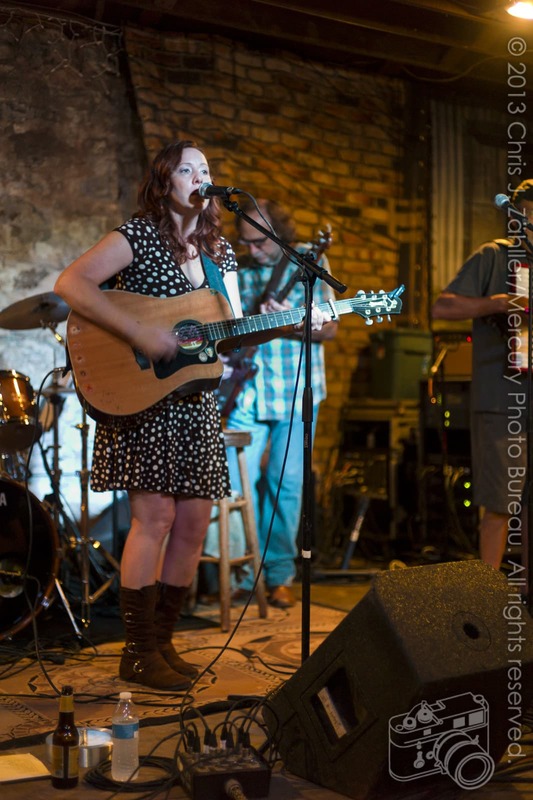 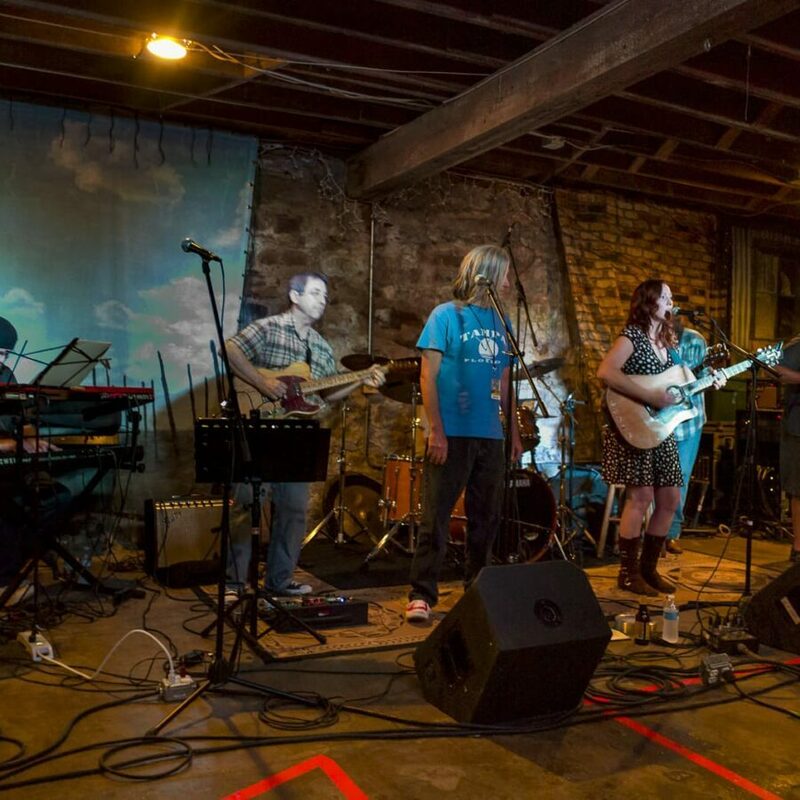 Although she has a back­ing band, The Reluctant Prophets, Pulley made her offi­cial Woody Guthrie Festival appear­ance accom­pa­nied by the house band, the Oklahoma Geniuses. 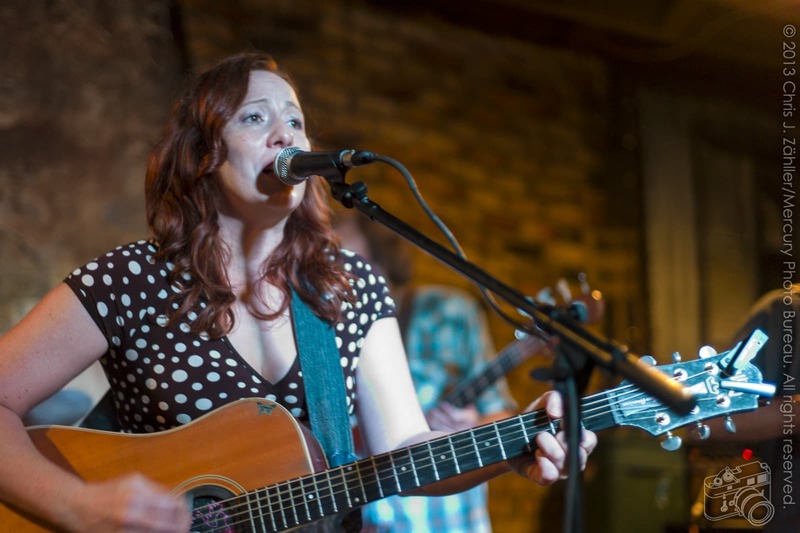 She per­formed at the Brick Street Café. 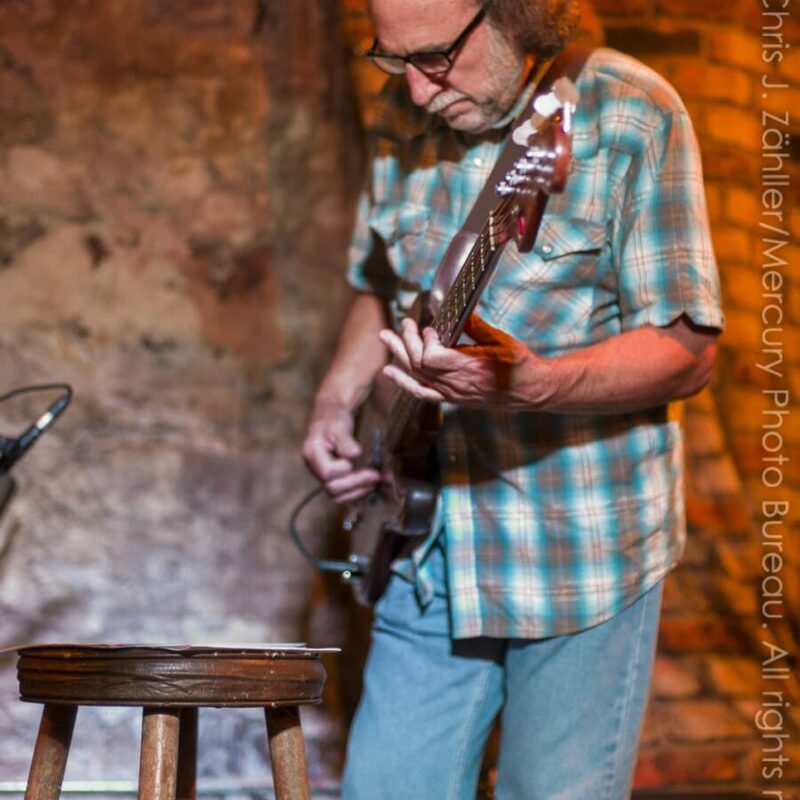 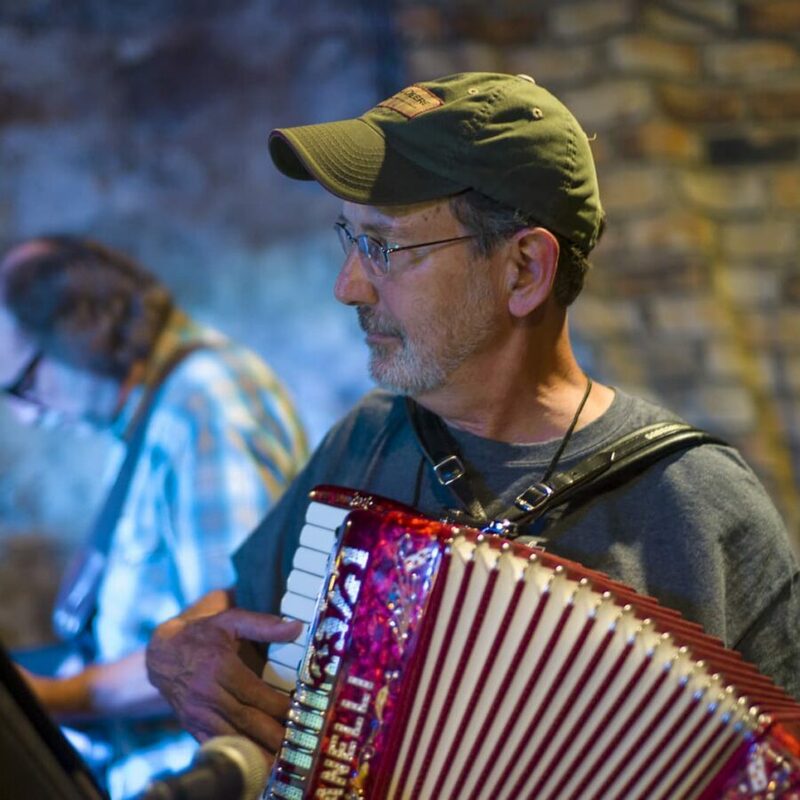 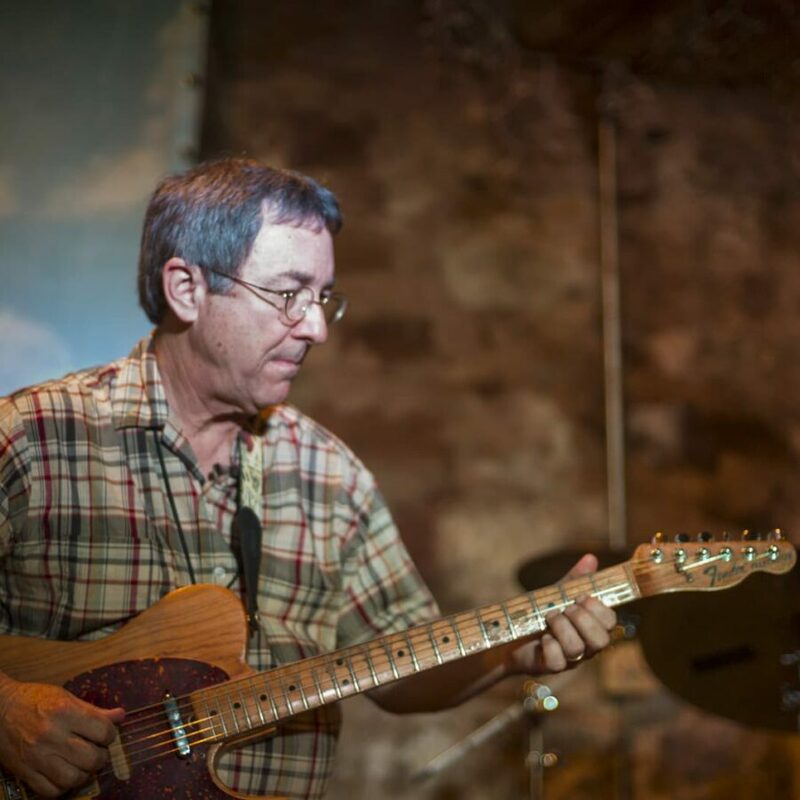 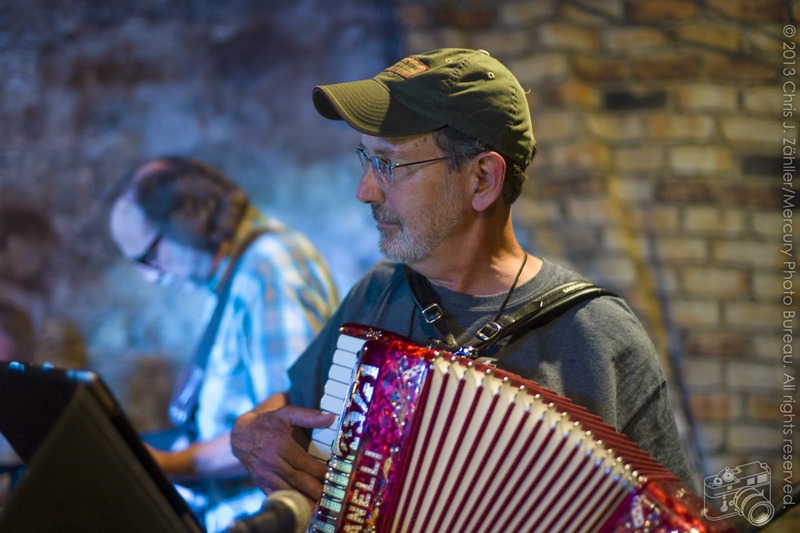 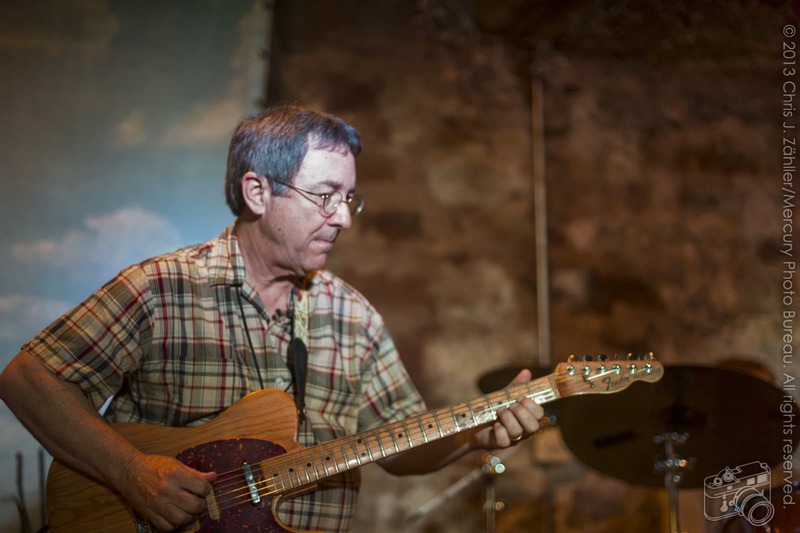 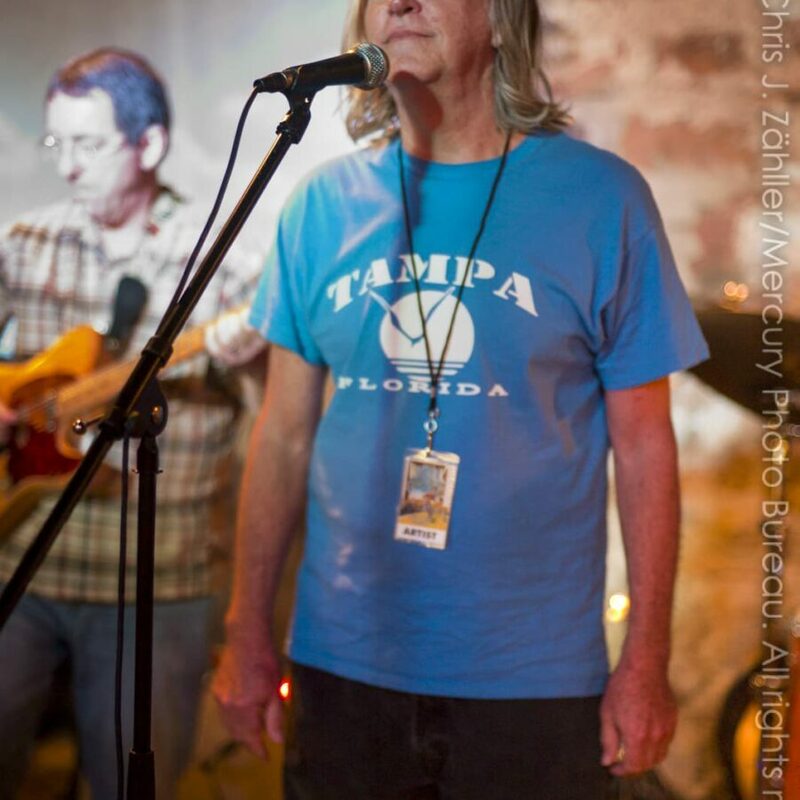 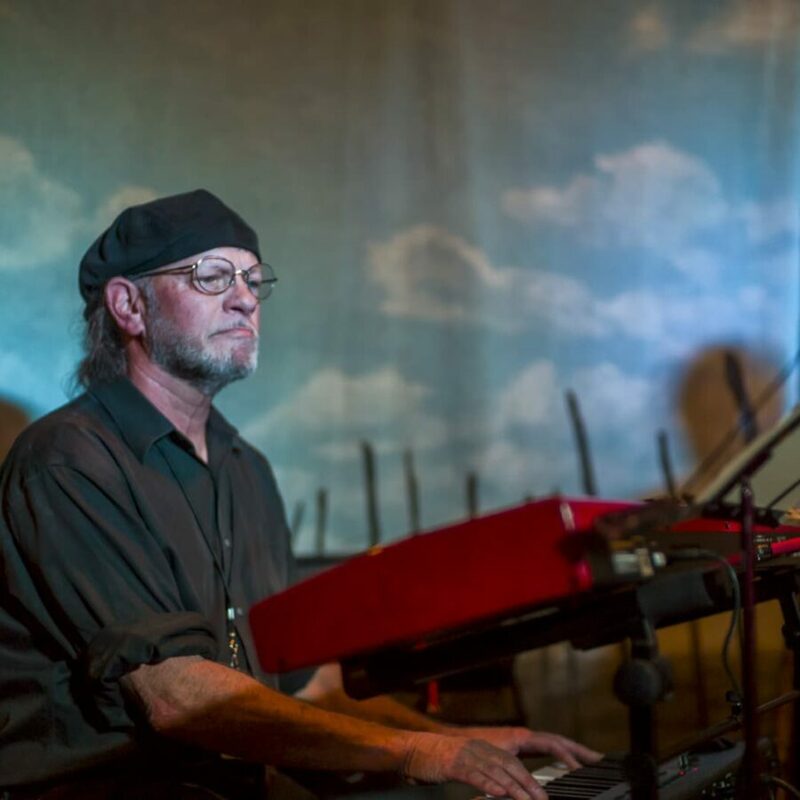 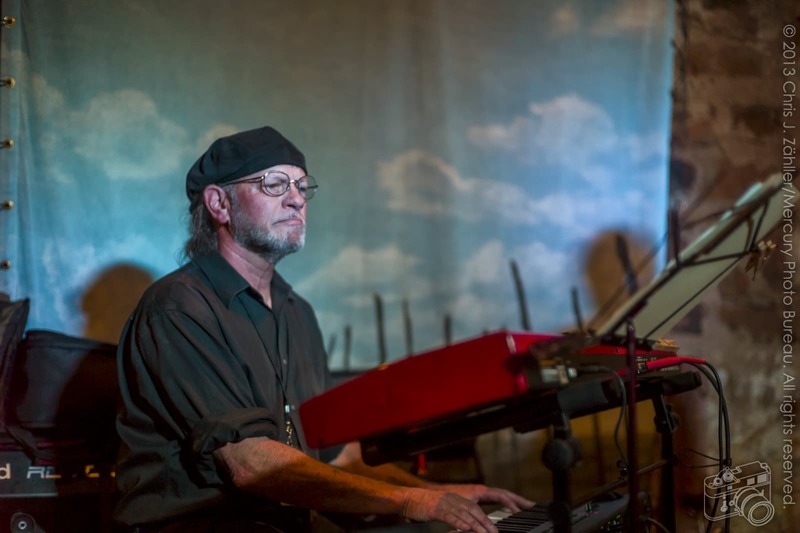 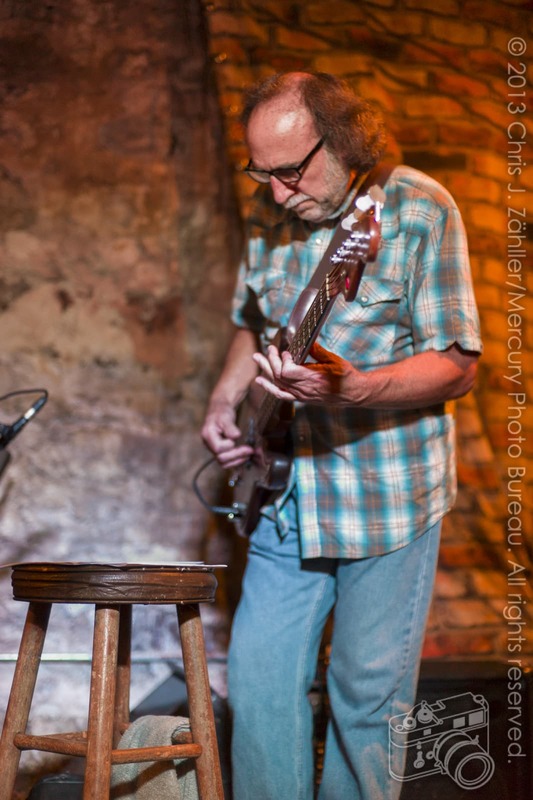 Festival reg­u­lar Ronnie Elliot joined in on Pulley’s final pair of songs.